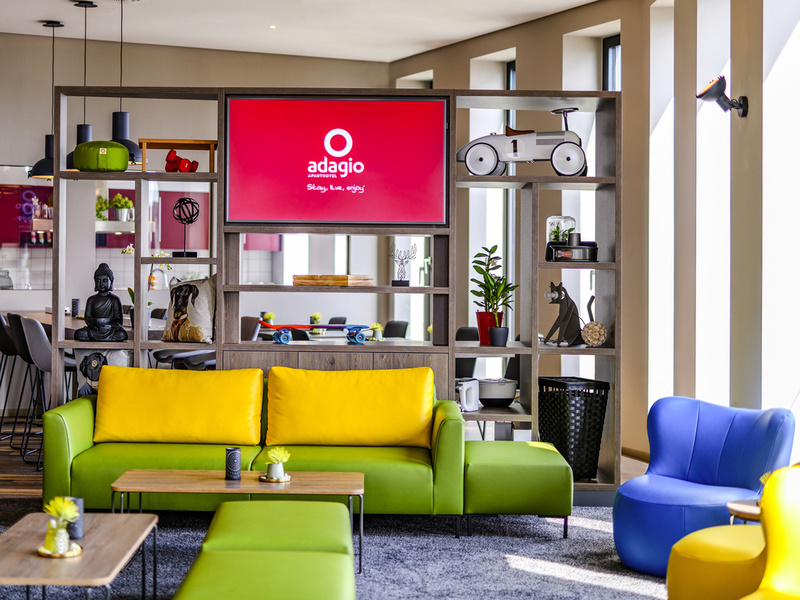 Aparthotel Adagio Bremen occupies two floors of the Bremen City Gate on the station forecourt. The 92 comfortable, modern studios and apartments each come with a full-fledged kitchen. Besides an HD TV and free wi-fi, the rooms are equipped with a workspace, making the rooms ideal for longer periods of time. Excellent views of Bremen's Old Town and Bremen Central Station complete the stay perfectly. Our bar is a cozy meeting place where you can while away the hours. Round off the day by relaxing with a selection of alcoholic and non-alcoholic drinks.